Teams... get your clans ready!!! 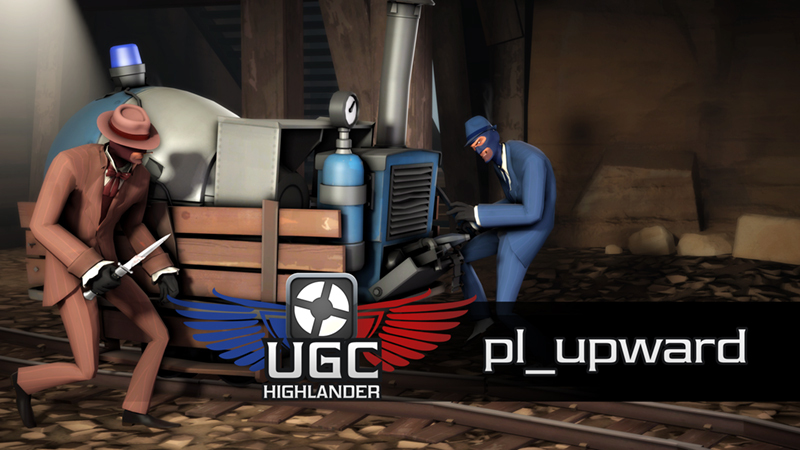 UGC is excited to officially announce the 24th season of our Highlander league! 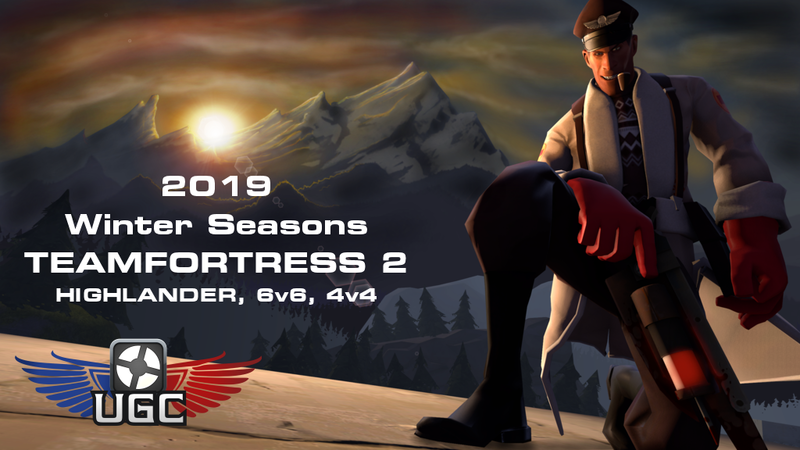 If you have a team from a prior season and would like to play make sure to sign-in with your leader account and accept our invite to join the current season! 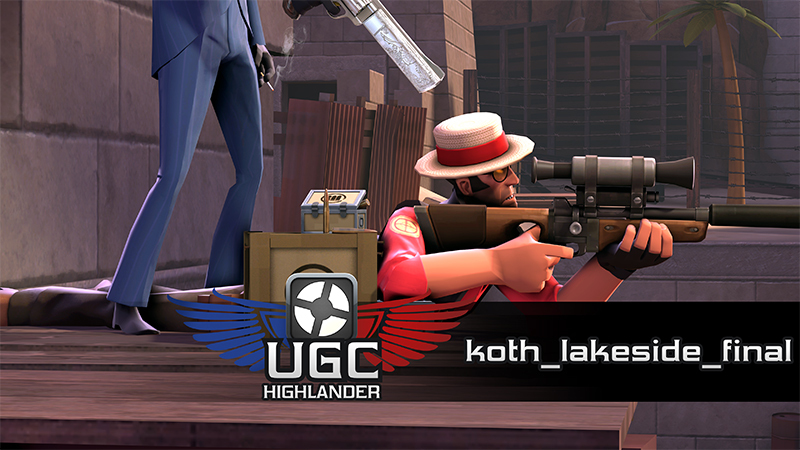 If you are a new team registering with UGC for the first time, WELCOME! 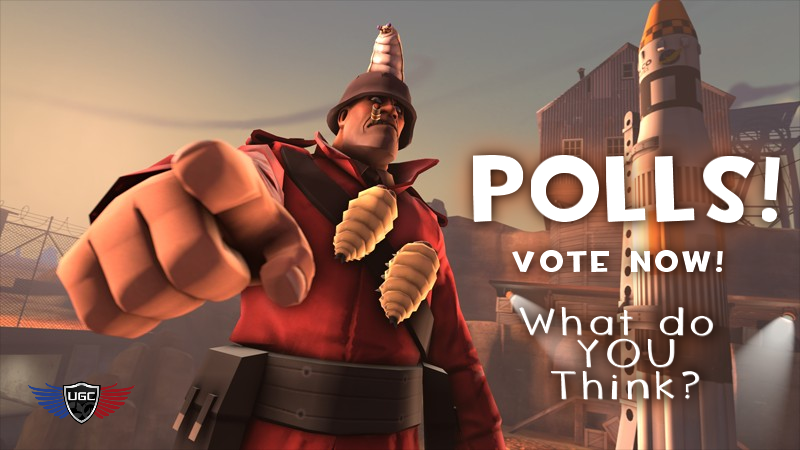 The polls for this coming season will be closed out tomorrow on December 24th. If you haven't participated.. please give us your feedback! See this news post for more information. This seasons format will feature 8 regular weeks with 4 weeks of playoffs (3 playoff weeks and Grand Finals). There will be a fulltime rosterlock after the default match day of Week 7. All players will receive a participation medal assuming they were rostered on a team for a majority of the season. Regional divisions, and Platinum, Silver and Steel will receive placement medals for top 3 teams. 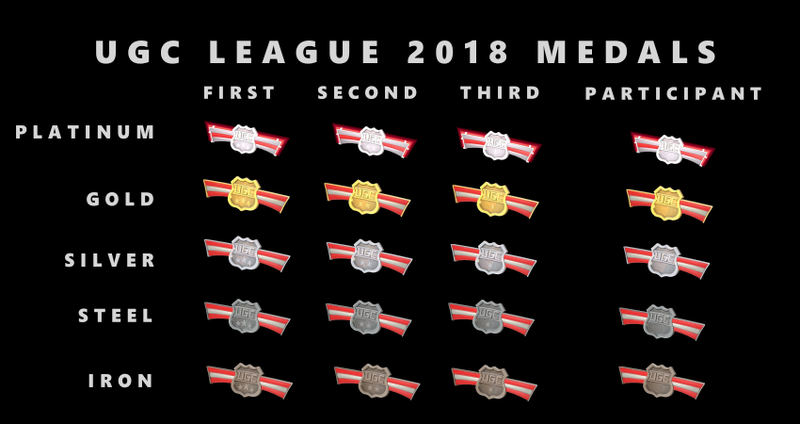 We will also be using a new medal design for the year 2018! Team placements are underway. Please be patient, all teams will be placed before the start of the season. Remember that you need 9 people on your roster to be considered for placement! If your team is not yet placed into a skill division please submit a division change request from your leader panel. After you have been placed into a division and have at least 9 players on your roster, don't forget to set your team to Ready in your leader panel to be scheduled for matches! 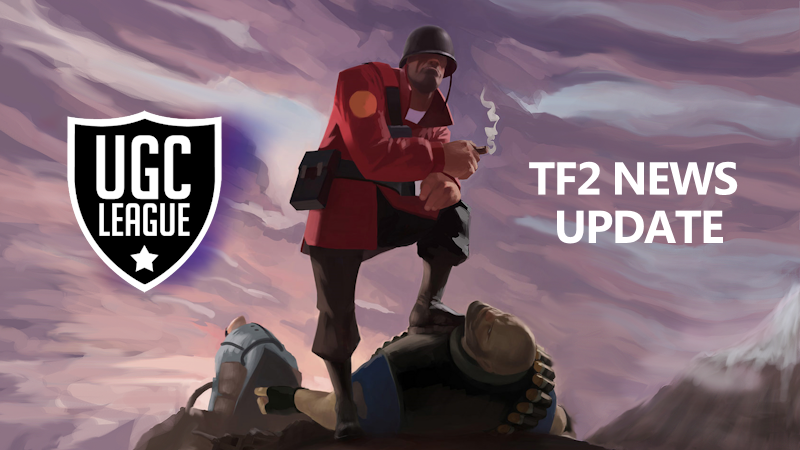 The new map rotation and whitelist will be announced following the closing of the Highlander Season 24 Polls. 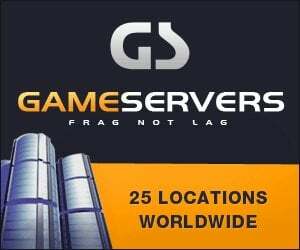 Once our maplist is available it will be posted here. Our new whitelist will be made available to download here. Our league's Chat Support is held over the Discord application. If you are logged in as a player or leader, this support option is on your menu. We've also embedded the Discord widget on this page. For more details please visit this forum thread. 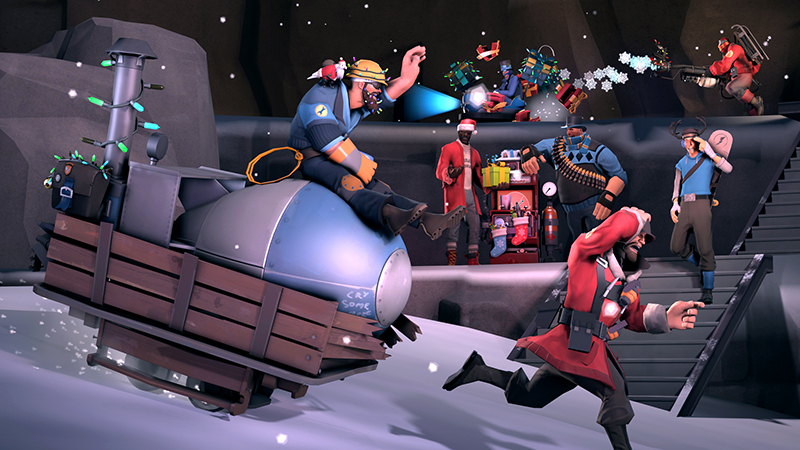 If you have an issue that requires admin attention, please use our support ticket system. 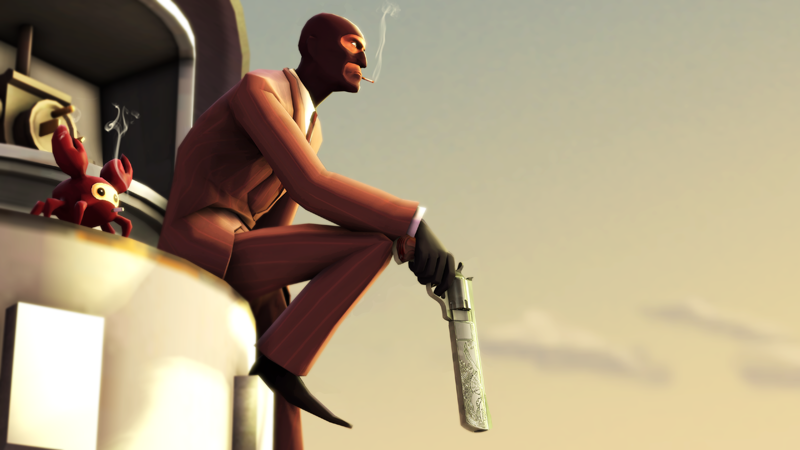 Players who login via Steam can submit a ticket as well as leaders who login with a special leader username/password. The ticket system can be located in the Support Menu once you login as a player or a leader. 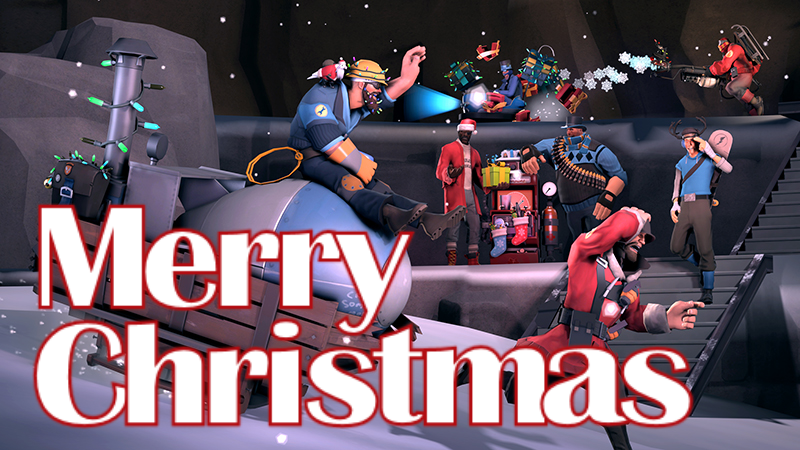 GOOD LUCK TO ALL MERCS AND THEIR TEAMS!